← A dinner party at home! For great food and great ambience – Cafe Britannia! Although it’s a bit of hike, tucked away in a corner of South Mumbai, the food is more than ample reward at Cafe Britannia which serves Parsi and Irani cuisine. 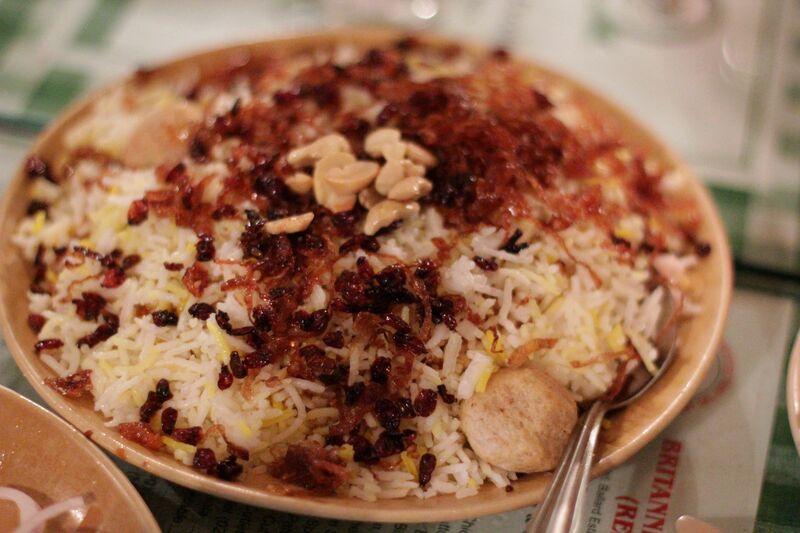 Our favourites include Salli boti (mutton cooked with apricots and topped with potato shoe strings), Berry pulao (rice dish with bilberries from Iran), mutton cutlets and fresh chapatis. Of course no Parsi or Irani meal is complete unless it is accompanied by Raspberry soda and finished off with caramel custard! This entry was posted in Mumbai memories and tagged berry pulao, caramel custard, chapati, Irani, mutton cutlet, Parsi, salli boti. Bookmark the permalink.